For disruptive mobile payments startup Square, 2011 was a year of massive growth on many levels. The startup ended the year with over 1 million merchants using the mobile payments platform to accept credit cards (there are only 8 million merchants who accept credit cards in the US). In November, Square announced it was processing $11 million in payments per day (up from $4 million a day in July). Sir Richard Branson, Kleiner Perkins, Visa, and other investors poured over $100 million over the course of the year into Square, with the company’s latest valuation pegged at $1 billion. 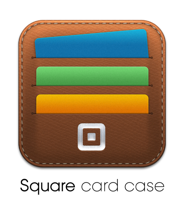 And Square announced a number of new product innovations, including Card Case, a new iPad app and more. Not to mention the unveiling of retail deals with Apple, Wal-mart, Best Buy, Radio Shack, and Target. It’s hard to imagine how Square could top such an eventful year. But according to COO Keith Rabois, 2012 will prove to be even more monumental for the mobile payments company. Square is kicking of 2012 with two new retail deals, OfficeMax and select UPS Store locations. With these new retailer partnerships, Square is now being sold at 10,000 retail locations, up from 9,000 at the end of last year. Square’s credit card readers sell for $9.99 in stores but each purchaser can redeem a $10 credit to their bank account. According to Rabois, retail sales of Square has been a large driver of adoption. In fact, currently 80 percent of U.S. population is within 15 minutes of a Square device sold at a retail location. Beyond expanding retail deals (there are more to come, he says); Square will also be looking to upgrade the experience of running a business, end-to-end, on the iPad. Last May, the company debuted new iPad app Square Register, a high-powered point of sale replacement for cash registers and point of sale terminals. This year, the startup will add to the capabilities of this software, enabling small businesses to grow and manage their operations off of the device. For example, Square will be adding in-depth merchant analytics to its iPad experience, allowing merchants to access information about which inventory is selling well, and what they can do to help make more money. Rabois tells me it’s about providing data insights from transactions and interactions, and giving these small businesses the tools that big businesses and retailers can afford. As for focusing just on the iPad, he says that if there is an Android tablet that has traction, Square will invest in a comparable Android tablet offering. Another product area where Square will be continuing to focus its efforts is on Card Case, which is a virtual card case (via a mobile app) that consumers fill with ‘cards’ of all the merchants they visit and buy from who accept Square. These mobile cards include locations, merchant contact info, coupons, order and purchase history and more. Users can also use Card Case to ‘pay with their name’ and even enable hands-free payments. Rabois explains that Card Case has seen major traction amongst consumers, and is on the same growth trajectory (in terms of usage and engagement) as Square was when it first launched to the public in 2009. One area where the startup will be innovating is personalization, and helping merchants to provide a more individual, personalized experience based on interactions to each customer. As for transaction volumes, Rabois declined to give us any exact numbers but did say that transactions have hit way north of $11 million per day on a number of days in the past few months. Armed with over $100 million in new funding, Square is also preparing for international expansion within the year, which was revealed at the time of Branson’s investment. With the major product innovations set to take place this year, Rabois tells me that Square is also looking to triple its employee count in 2012. Currently, Square has a staff of 200 employees, up from around 40 at the same time in 2011. Most of the hiring will be of engineers, specializing in a variety of areas including iOS, Android, Ruby, back-end infrastructure and more. In the end, Square’s 2012 goals are still aligned to the startup’s core principle: to help small businesses everywhere accept credit cards. Rabois says that there are still 26 million businesses in the U.S. that don’t accept credit cards, and he expects to convert a “huge fraction of them” this year. Stay tuned.